ACA designed a contemporary care home in Fishbourne for Choice Care Group. 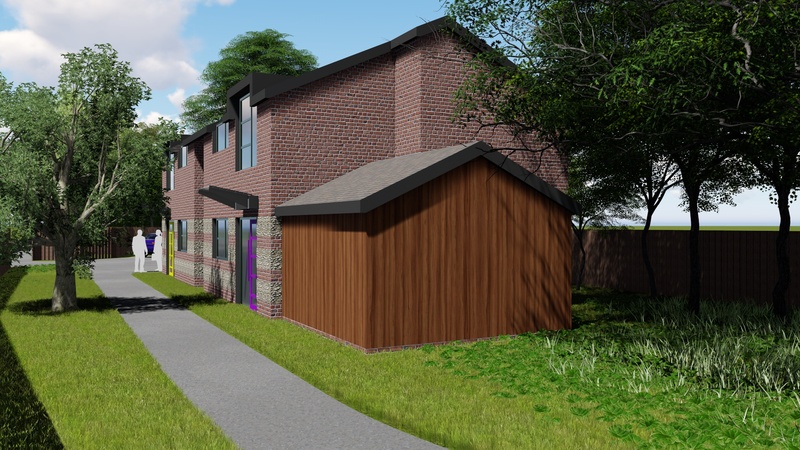 The brief was to design high-quality residential care services for people with complex needs such as learning disabilities, autism and mental health disorders. Firstly, the site is located in a significant heritage context, surrounded by 18th and 19th-century residential developments. Therefore, the material selection of the external physical environment took inspiration from the local vernacular, interpreting it in a contemporary style. For example; the materials used are brickwork with flint detailing, oak timber effect weatherboards and natural slate roof tiles. Secondly, a significant challenge ACA addressed with the design was the incorporation of healthcare facilities within a homelike setting. That is to say, a design to benefit the well-being and on-going recovery for people where they would feel at home. The layout of the contemporary care home supports individuals in a variety of ways. Spaces designed offer communal areas and self-contained apartments. Carefully-designed gardens encourage sensory experiences and communal interactions for the residents, staff and visitors. Also, the selection of materials inside the contemporary care home significantly help individuals with an association to their homes. Finally, with the aim of achieving a holistic therapeutic environment within a contemporary home, ACA delivered a design which offers independence, comfort and assistance with way finding. “I am very happy with the service and the prompt responses and turnaround of information from ACA”.